Fun is guaranteed in the Stella McCartney Kids™ Amalie Gold Polka Dot Tulle Overlay Skirt. Stretch waistband along the back. Tulle overlay with polka dot print throughout. 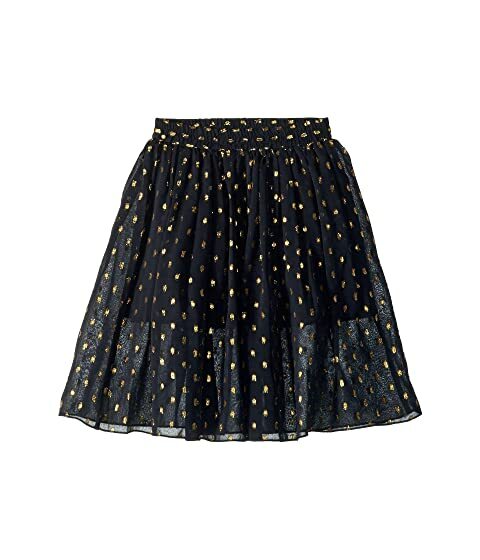 We can't currently find any similar items for the Amalie Gold Polka Dot Tulle Overlay Skirt (Toddler/Little Kids/Big Kids) by Stella McCartney Kids. Sorry!